*It seems as though NFL films is in big trouble! Not one, not two, but 600 retired NFL players sued the company for exploiting footage of them. Roger Craig and Ricky Watters are among the retired players coming after the company. The retirees are upset they aren’t profiting like the company off of the footage. In the lawsuit filed in Pennsylvania, the former players claimed to not have allowed NFL Films to use the footage of them. And since their names and images are of high value, they should have been compensated for the footage that was used in commercials, TV shows and other programming. 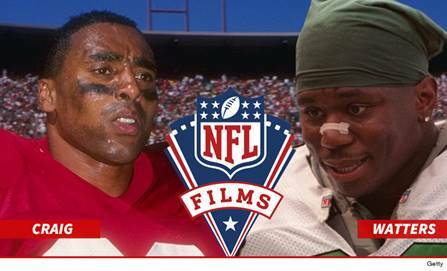 But NFL Films blasted back at the retired players. The company stated the players signed off on the footage being used when they signed their NFL contracts. NFL Films not only wants the judge to throw out the case, but the company wants the players to pay the attorney’s fees.